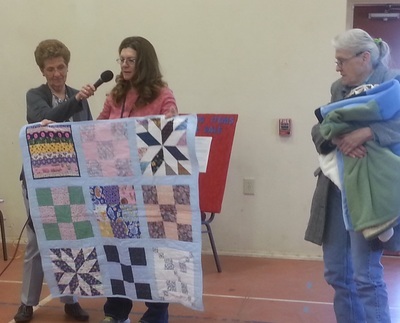 One of the most fun and rewarding aspects of being a member of the Chino Valley Quilters is serving our community. 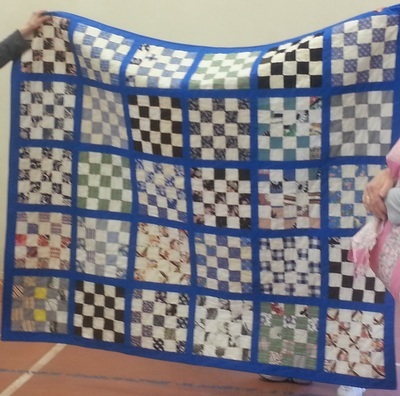 The guild members do so by making Comfort Quilts and other useful items; stroke pillows, pet beds, cancer caps, pillow tote bags and etc. 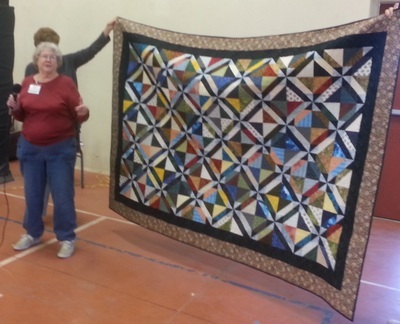 We provide these items free of charge to those in the community in need of a helping hand. 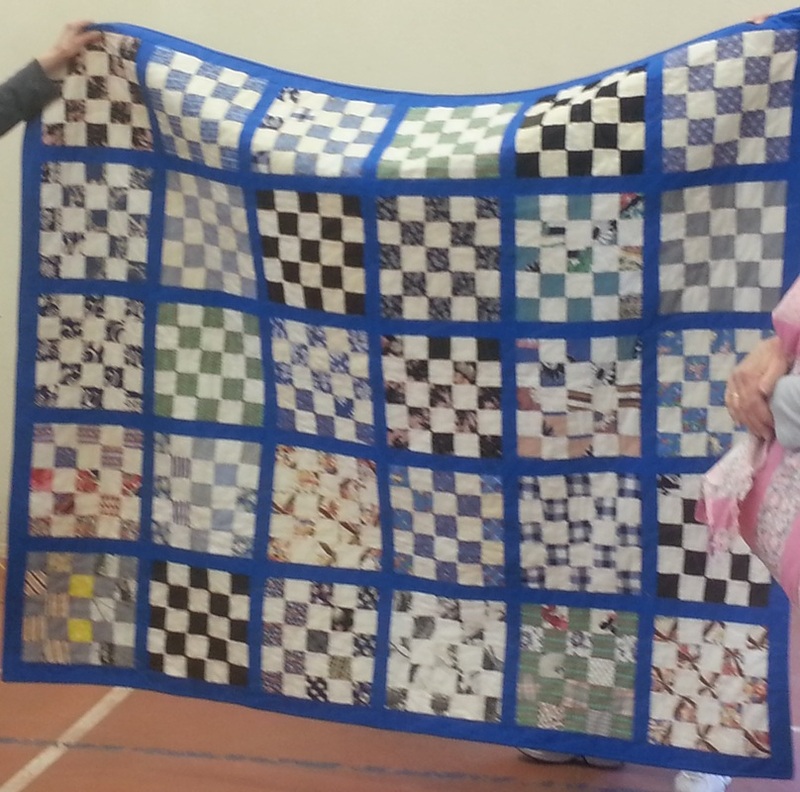 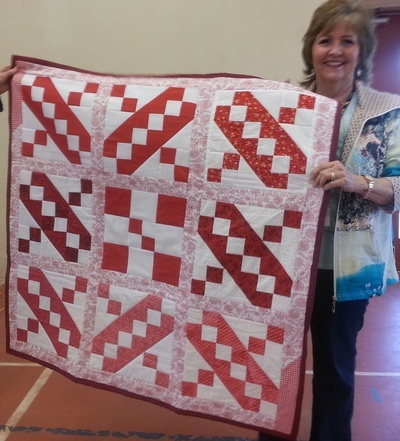 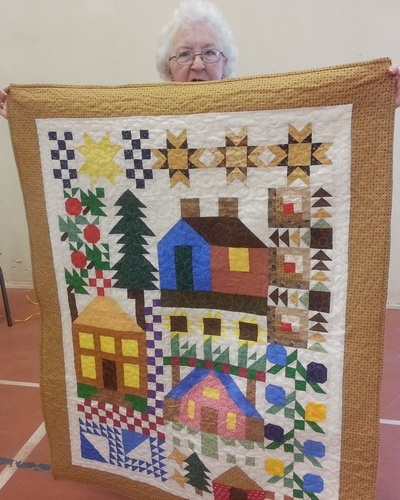 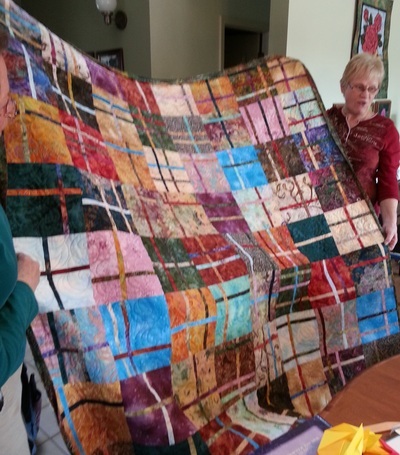 Guild members create Comfort Quilts either by their own design or by using kits, which the comfort quilt committee members have put together. 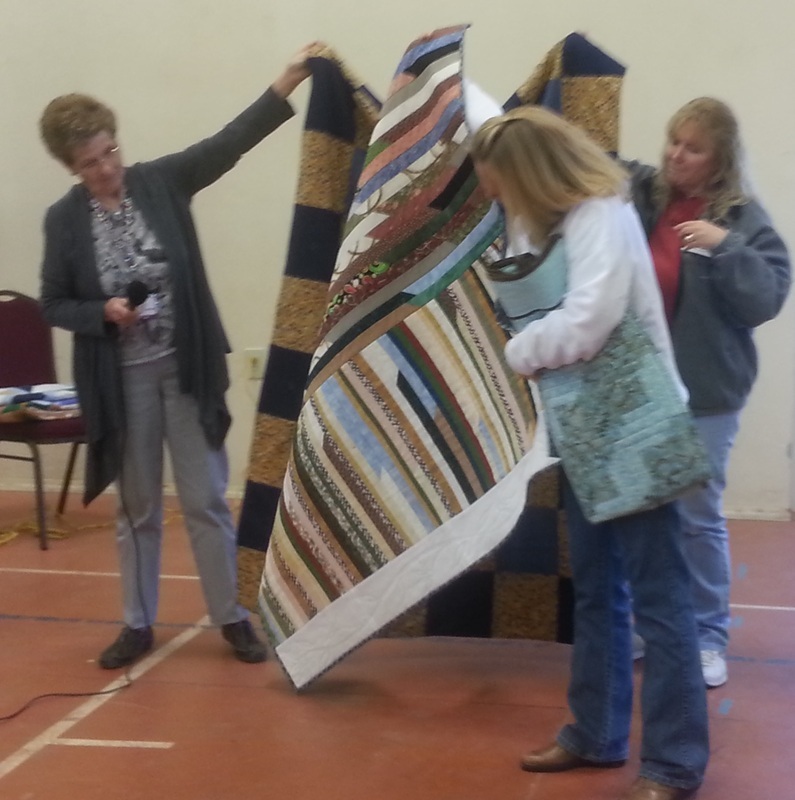 Our guild furnishes the blocks, batting and backing to be used in making up the kits. 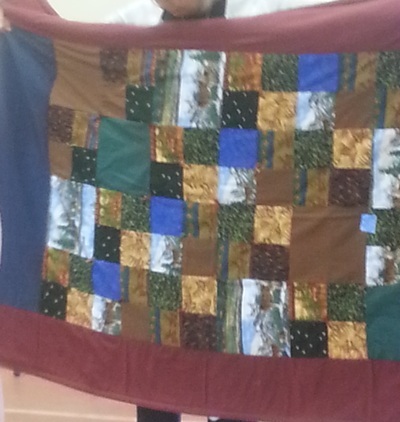 Members may select a kit or two to complete at home to be returned to the Comfort Quilt Committee. 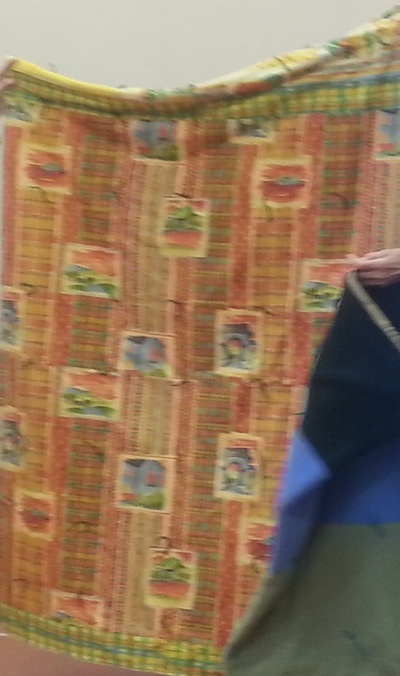 Our guild members have use of a long arm machine to quilt their comfort quilts. 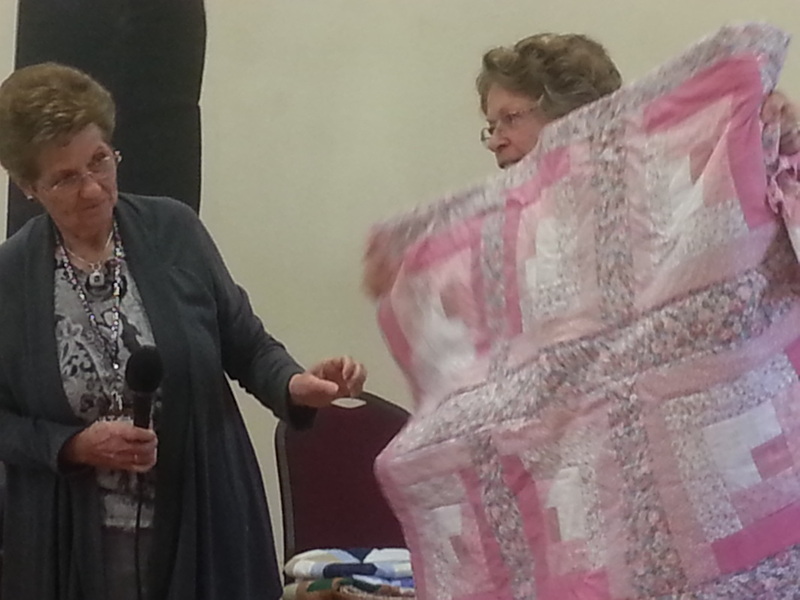 Throughout the year, we hold Sew-Ins at our monthly meeting. 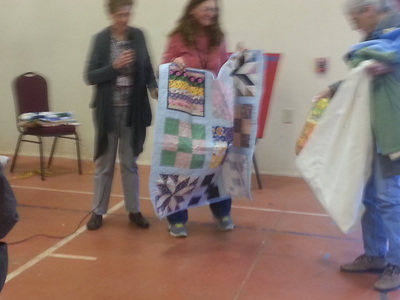 Our Committee provides the materials and members tote their machines and supplies to sew as many Comfort Quilts as possible. 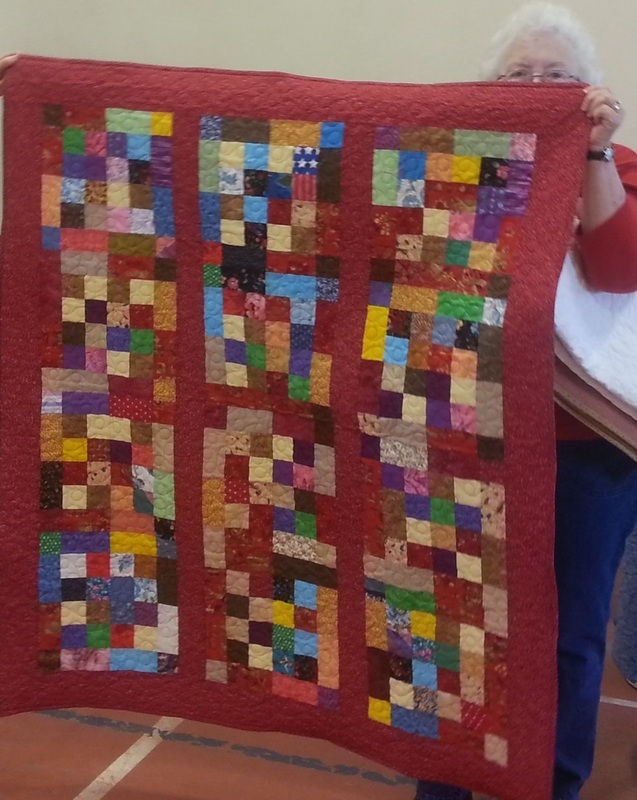 If not completed, members are encouraged to take their quilts home and finish them to be turned in at the next month's meeting. This year we are setting a goal of 200 quilts and, of course, we would love to have even more as there is always a family or organization who can use one of our beautiful quilts. 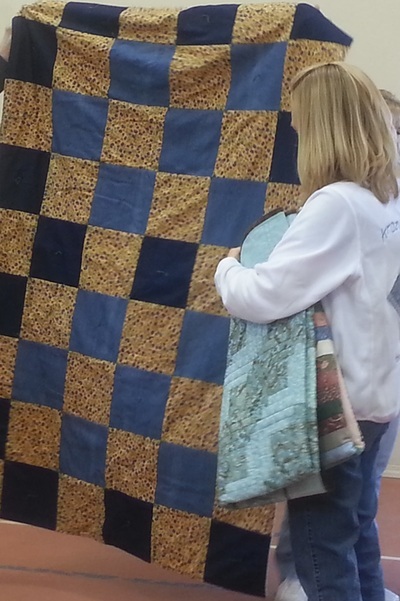 View a sampling of some of the beautiful blocks and quilts members have crafted and donated in our Quilt galleries. 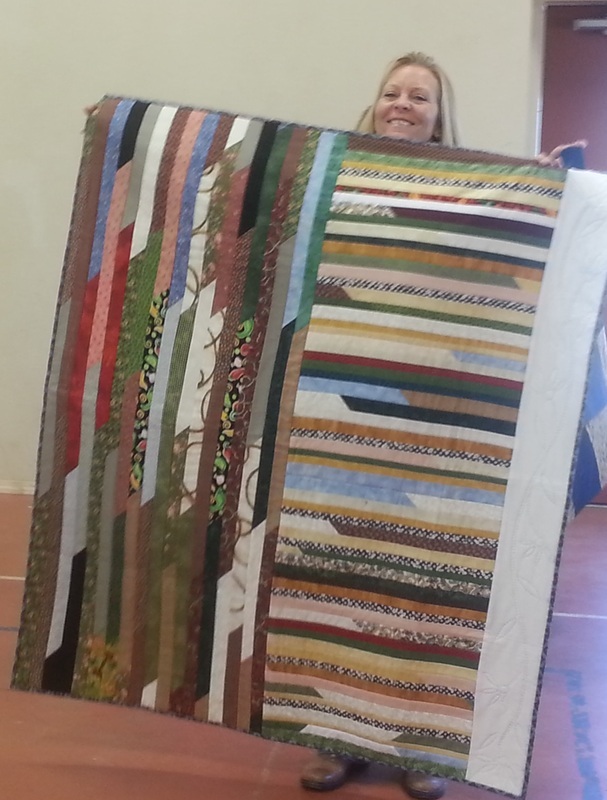 ​These are 12 ½" unfinished patterns are from Quilters Cache. 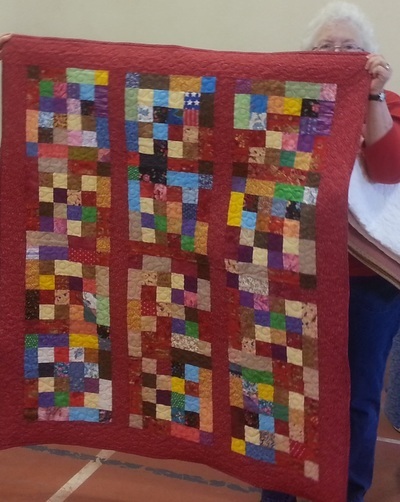 We ask members to make three blocks one of which goes into a drawing the other two are donated to the Comfort Quilt Committee. If you have any questions or need help, please contact the member shown for each month. 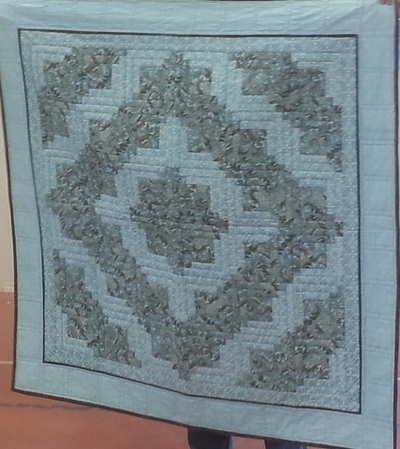 May: “Four Patch Ladder” in scrappy colors. 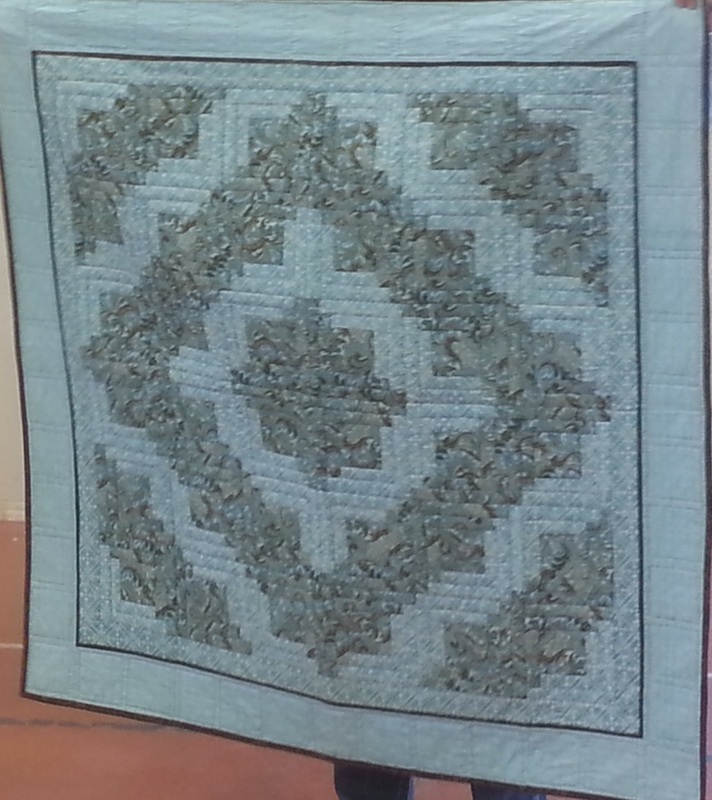 October: “Windmill 3” in purples and tans.